Construction of the 302-unit property in the MIdwood neighborhood is near completion. 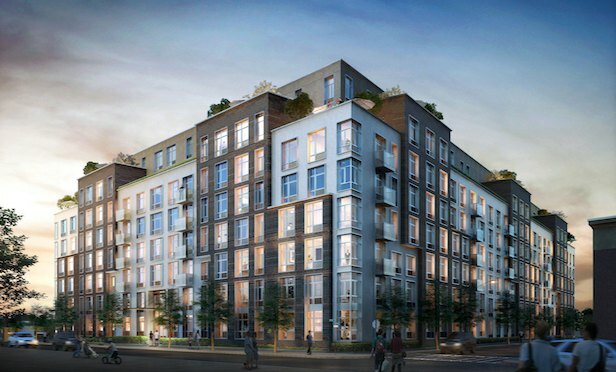 NEW YORK CITY—Hampshire Properties received $115.1 million in refinancing, secured by the eight-story, 265,000 square-foot multifamily building, located at 1277 E. 14th St. in Brooklyn. Construction is almost complete for the 302-unit development featuring one-, two- and three-bedroom units, 150 parking spaces, a fitness center, game room, concierge desk, inner courtyard and rooftop deck. The property is in the residential neighborhood Midwood.